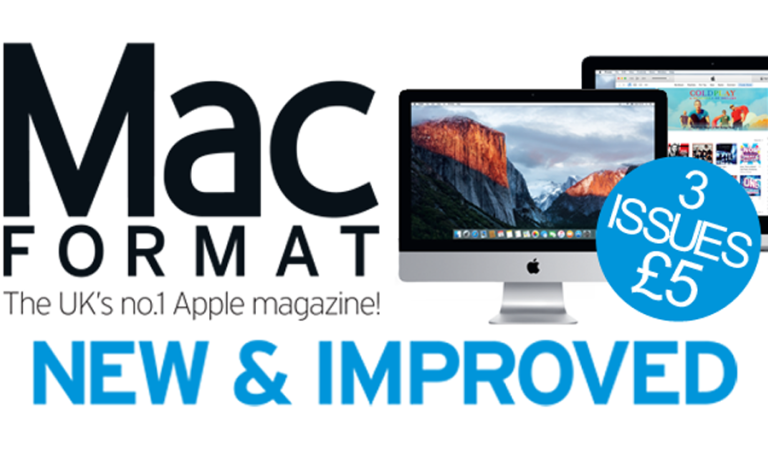 The all-new MacFormat is coming. Easily digestible layouts in plain English, a practical approach to get you to the core information fast, and expert insights from our resident Mac experts- MacFormat is here to deliver inspiring ideas and tried and tested solutions in good measure. Withour brilliant new sections – Apple Core, Apple Home, Choice, and Genius Tips– the new & improved MacFormat will get you more from your Apple kit, whether you're a seasoned Mac user, a recent switcher, or just getting started with Apple's amazing line-up. Subscribe today for only £5 for your first three issues. Subscribe to MacFormat's glossy print edition for only £5 for your first 3 issues and if you like what you read continue paying £25 every 6 months. Or, better yet, subscribe to MacFormat's complete print + digital bundle for only £5 for your first 3 issues, with a 6 monthly payment of £30 thereafter, and you'll get our print edition delivered to your door as well as instant access to our digital edition. Amazon Spring Sale laptop deal: Huawei MateBook X price slashed by £300! This is a Huawei MateBook X deal not to be missed!